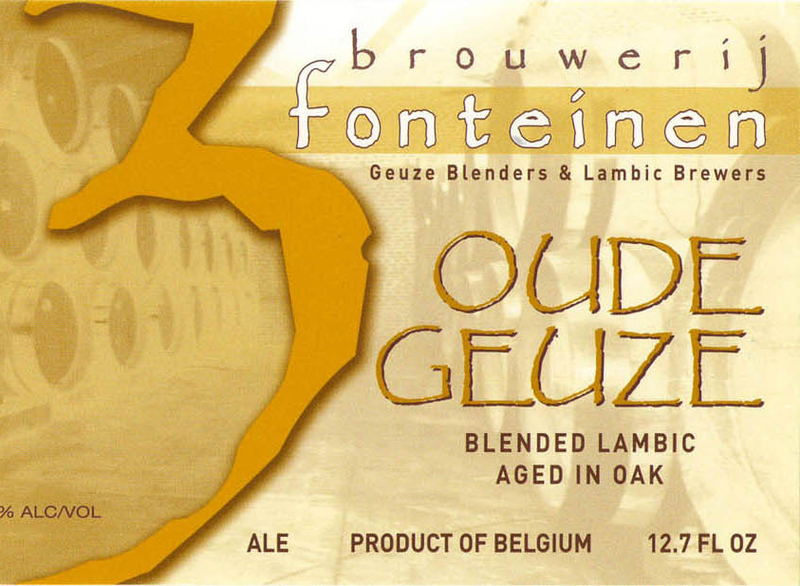 Drie Fonteinen is the only remaining traditional geuze blender in Belgium, using only 100% spontaneously fermented lambic beer, aged in oak casks, with no artificial sweeteners or other additives. The blendery is connected to the very popular Drie Fonteinen Restaurant in Beersel, on the outskirts of Brussels. The proprietor, Armand Debelder, buys pure lambic from three breweries in Belgium, ages them in oak, and blends them, employing the skill, knowledge, and supreme passion for real geuze that his father handed down to him. Armand believes that this blend from 1999 is the best Geuze he has ever made. It is a classic blend of one, two, and three-year old lambiks, bottled in 1999 and carefully watched while it continues to re-ferment in the bottle. Properly stored, it will only get better and better for at least the next 10 years. We will be getting some Oude Geuze 2000 as well. This newer blend is also exquisite. Like any traditional geuze, Drie Fonteinen’s Oude Geuze is tart, earthy, and incredibly complex, but also spritzy as champagne and greatly refreshing.